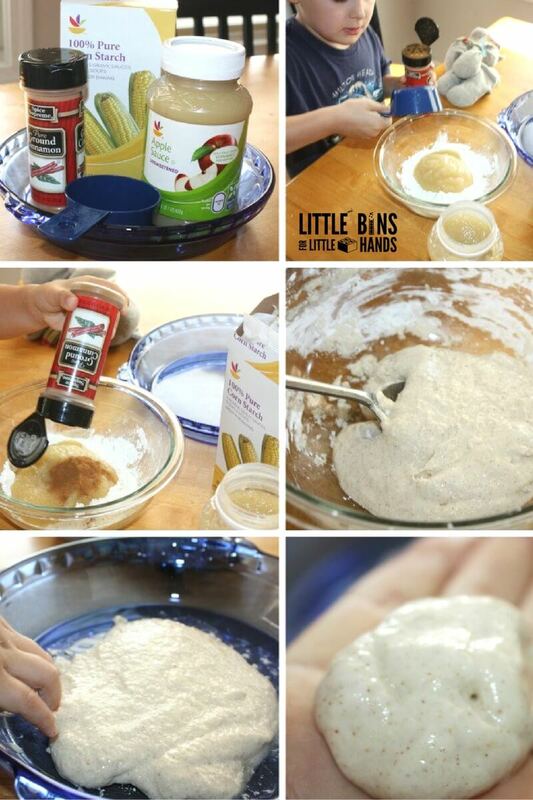 Awesome apple oobleck for fall learning! Fall is an excellent time of the year to put a little twist on classic science experiments! That’s how we decided to try apple sauce oobleck! 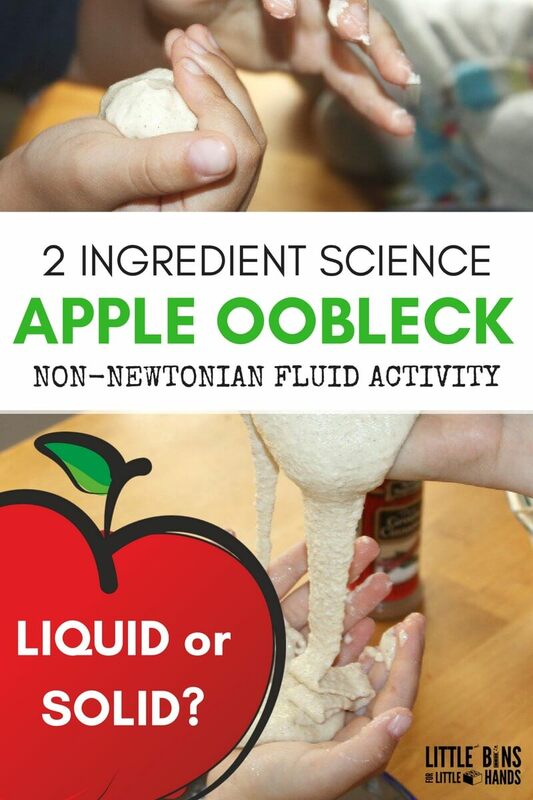 Oobleck is a classic Non-newtonian fluid science experiment made from two easy ingredients. 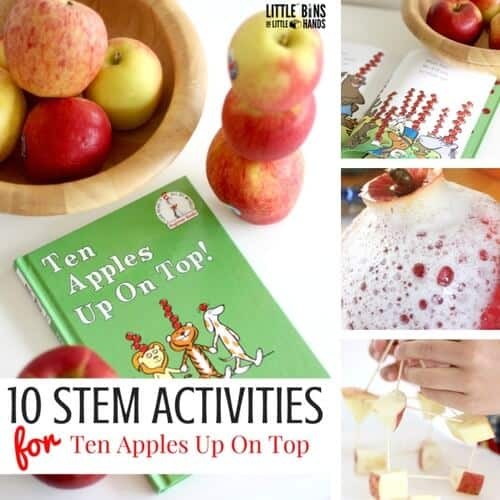 Check out all our Apple STEM and Science ideas. Kids love themed activities for the different seasons and holidays and it’s a great way to reinforce similar concepts while still having fun. Oobleck can be dressed in so many ways! Oobleck is usually a mixture of cornstarch and water. Roughly a 2:1 ratio but you can tinker with the ratio to find a desired consistency that still maintains the properties of oobleck. What’s the science of oobleck? Well, it’s a solid. No wait it’s a liquid! Wait again, it’s both! Very fascinating to be exact. Pick up solid chunks, pack it into a ball and watch it ooze into a liquid. This is called a non-newtonian fluid, a substance that acts like both a liquid and a solid. Read more here! WHY IS IT CALLED OOBLECK? This slimy strange mixture got it’s name from one of our favorite books called Bartholomew and The Oobleck. Definitely take the book out of the library or purchase a copy to go along with this fun sensory science activity! To make our apple oobleck, we measured roughly a cup of cornstarch and a 1/2 cup of applesauce into a bowl. Great practice for the kiddo too! Add a generous sprinkle of cinnamon and mix! I used my hands to transfer it to a pie plate (since of course it is apple pie season). I really wanted to show him the science behind apple oobleck since it is so cool that it can act like a liquid and a solid. I was hoping that if I showed him all about it and experimented with it so he could see it, he might be interested enough to touch it! I was right. Note: I kept our oobleck a bit firmer with extra cornstarch. This made it a bit less slimy though it still illustrated the properties of a Non-Newtonian fluid! Make sure to read the book and test it out! 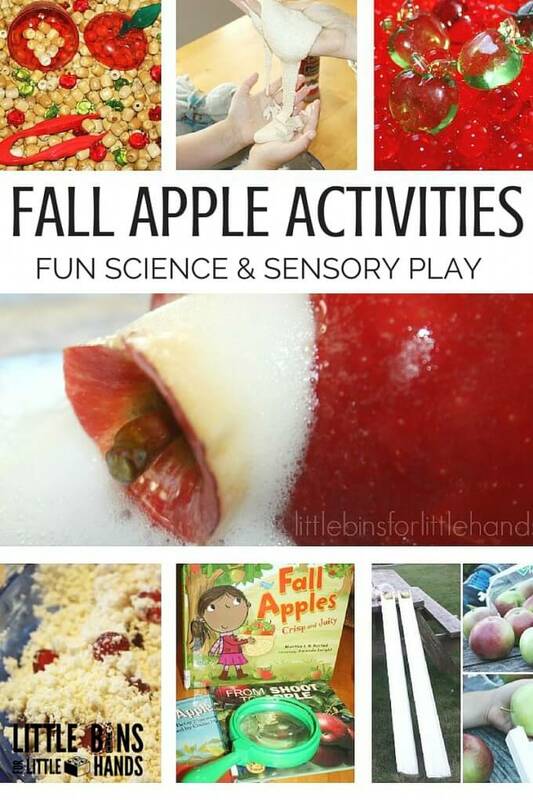 Water works just as well instead of apple sauce, but we have been all about apple play lately! 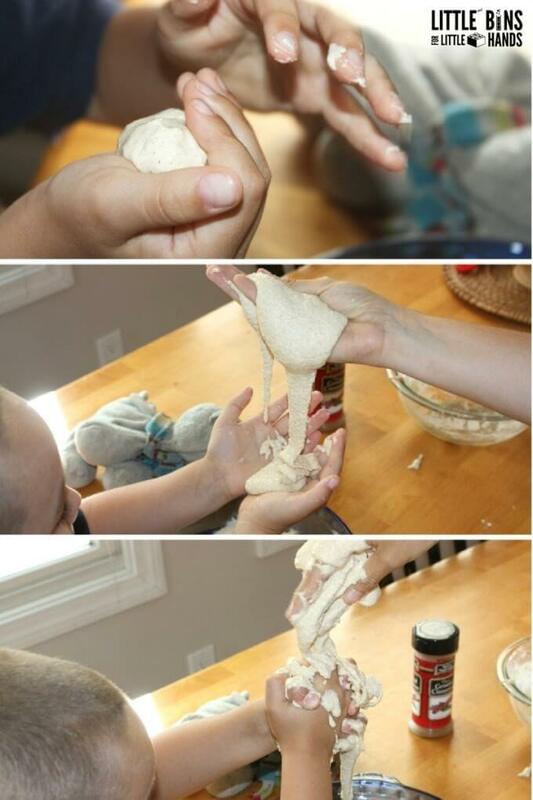 Oobleck is a very cool, magical substance that will amaze your child and even the grown ups too! 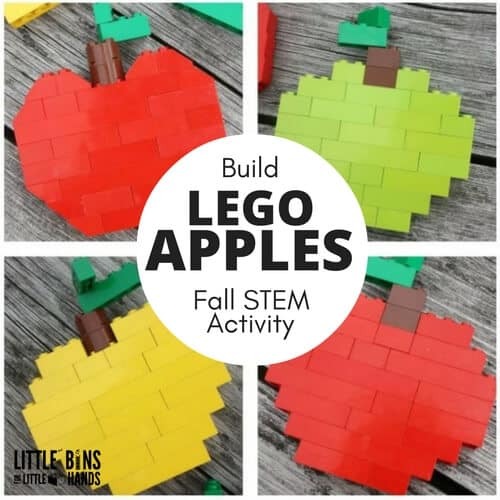 Check out all our awesome themed apple activities for fall! Click on photos! How much does the recipe make? We are making this for our apple rotations this week and will need enough for 170 first graders. We are thinking about doing groups of 4, would this recipe be enough for all 4 kids in each group? Yes it would sorry for the delay! What a great idea! I love making cinnamon Christmas ornaments, and I’ll be that, once you’re done with this dough, instead of throwing it out, you could keep adding cinnamon until it is stiff and then let your creations dry out! No waste! In an effort to be a nutritionally purposeful child care center and sensitive to the fact that not all centers/families can afford to “waste” food we have decided not to make any food based crafts. Very understandable! We have a terrific list of non food sensory bin fillers you might enjoy. We also offer a variety of apple themed ideas that do and DO NOT use real apples. Maybe the oobleck would be nice made the traditional way with a sprinkle of cinnamon to ignite the senses!